This is probably a very delayed post, but I have been really busy lately. As mentioned in my previous post, I was accepted to participate as speaker in Guatemala’s 2018 SQL Saturday organized in past February by SQL PASS organization. It was an amazing experience, a very busy day full of really interesting sessions and it was even more special for me because I had the chance to participate in this event in my home country (I currently live in United States). 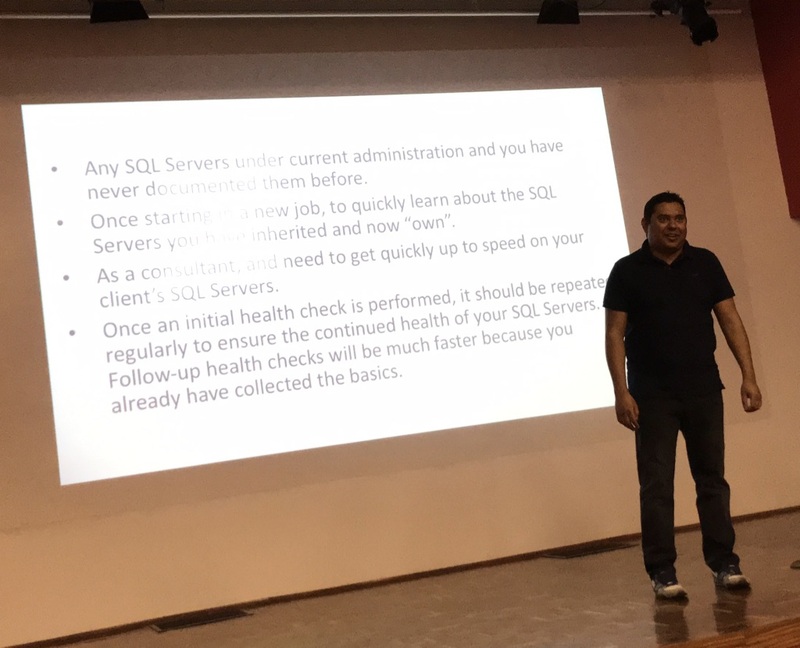 I truly recommend DBAs to look for SQL Saturday events near your area, is just a matter to subscribe in the official SQL Saturday and lookup for events here. Stay tune for more blog posts about SQL Server tips and tricks. This entry was posted in Career, Conferences, PASS and tagged Career, Conferences, Guatemala, LATAM, PASS, Speaking, SQL Saturday, SQL Server on 03/23/2018 by DBA Master.